In late March, I-TECH South Africa hosted a delegation from the U.S. Department of Health and Human Services, Health Resources and Services Administration (HRSA). Led by Dr. Mary Wakefield, HRSA Administrator, the delegation also included Ambassador Jimmy Kolker, Assistant Secretary for Global Affairs, U.S. Department of Health and Human Services (HHS); Dr. Austin Demby, Director – PEPFAR, Office of Global Affairs, HHS; and Dr. Jose Rafi Morales, Director HRSA/HAB PEPFAR Global HIV/AIDS Program. The group was accompanied in-country by Steven T. Smith, Health Attaché and HHS Regional Representative for Southern Africa; Dr. Nancy Knight, CDC Country Director; Rehmeth Fakroodeen, CDC HSS lead and HRSA Activity Manager; and the I-TECH Senior Management Team. The purpose of the visit was to observe the following activities, funded by HRSA through the U.S. President’s Emergency Plan for AIDS Relief (PEPFAR). With 165,000 inmates incarcerated in 237 correctional facilities, South Africa has the fourth-highest global incarceration rate, and the country’s facilities are operating at 137% of intended capacity.Overcrowding leads to insufficient ventilation and poor physical and mental health, all of which fuel the spread of HIV and tuberculosis (TB). HIV prevalence in these facilities is as high as 34.6%, and the reported TB cure rate is less than 40%, compared to 70% in the general population. Ensuring adequate skills among health care providers in correctional facilities is essential to fight the spread of HIV and other communicable diseases. 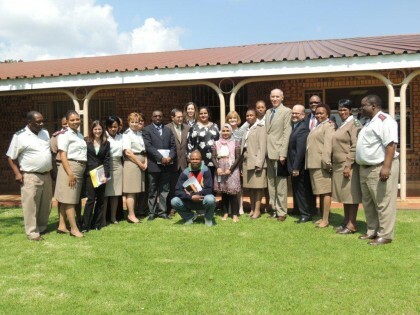 During its first visit, to a DCS health facility in Witbank, the HRSA delegation witnessed first-hand I-TECH’s work to conduct a situational analysis and support the training of health care workers on the care and management HIV and AIDS, tuberculosis, and sexually transmitted infections (STIs). This work was conducted in two regions: Limpopo, Mpumalanga, and North West (LMN) and KwaZulu-Natal. In 2012, the SANC started the process of developing a Continuing Professional Development (CPD) Program for the 262,000 nurses in South Africa; however, due to funding constraints and lack of capacity, I-TECH South Africa was asked to support them in the program’s development. Through the CPD Program, nursing practitioners will be required to attain a minimum number of CPD points as a prerequisite for annual renewal of their license to practice. The HRSA delegation met with the Chair of the Board of Directors of SANC and its Registrar, as well as representatives from the National Department of Health and academic institutions. Members of the delegation were briefed on achievements to date, which include technical assistance to establish a CPD technical working group and a draft CPD framework for nurses, a situational analysis of feasibility and acceptability of CPD, and a CPD pilot study outline developed for two provinces. South African Department of Correctional Services. 2007 Prevalence Survey for HIV. 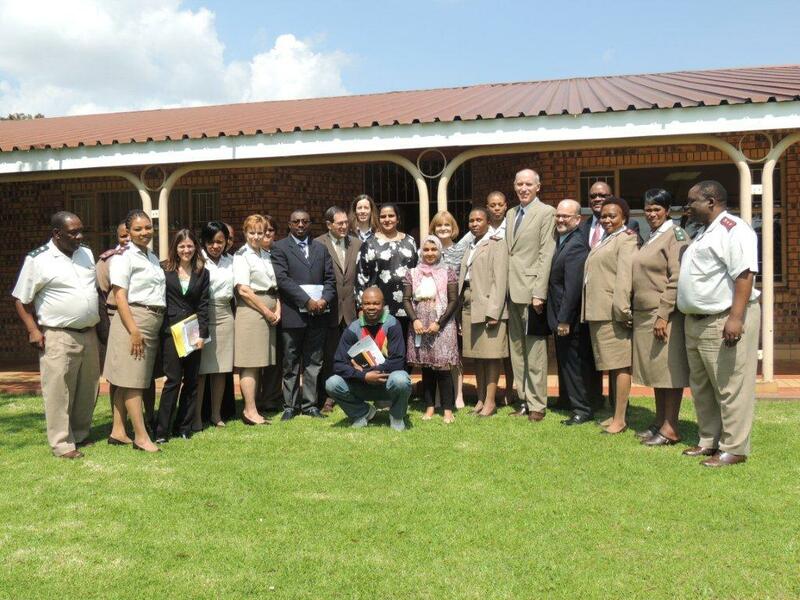 Verbal communication with South African National Department of Correctional Services on 28 March 2013. South African Nursing Council Licensure Register.